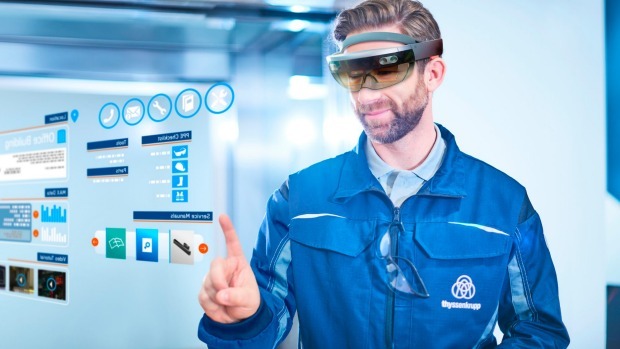 The tech giant has partnered with Collective Campus, a Melbourne-based corporate innovation consultancy, to produce a 13-week program that will see startups mentored by the like of regional Hololens solution specialist, Lawrence Crumpton. The founders will also get access to a volume of headsets that many would struggle to afford themselves. The Hololens went on sale in Australia last October, promising a powerful hybrid between virtual reality (VR) - a full 360-degree simulation of reality - and augmented reality (AR), which superimposes content on to the existing physical world. That complexity comes at a price, with the basic headset retailing for $4369, versus the sub-$1000 price tags for virtual reality competitors like Oculus Rift, Sony Playstation and HTC Vive. All have struggled for mass market sales, with consultant Telsyte blaming a "chicken and egg" predicament where consumers are unwilling to buy into VR or AR until there is enough content, and content producers won't support it until there are enough consumers. Mr Crumpton hinted that in sponsoring the accelerator, Microsoft was seeking external help in the creation of more Hololens content to capture the public imagination. "Mixed reality is emerging as the next giant leap in the [VR/AR] industry...Microsoft is excited to see what these future innovators and entrepreneurs dream up next," he said.Its pricepoint means Hololens is mostly a corporate tool at the moment, and Collective Campus is seeking two more sponsors from industries where 'mixed reality' could have a disruptive effect. Co-founder Sean Qian said discussions were underway with property developers - where 'mixed reality' could help architects in different locations collaborate on a building's design, and then help foreign buyers get a sense of it - as well in industries with more obvious applications for the technology, like education, retail, tourism, healthcare and entertainment. Mr Qian would not reveal the cash component of Microsoft's sponsorship, but it would not automatically take an equity stake in participating startups like other Collective Campus sponsors have done. "They've got a first right of refusal on follow-on investment, but for them it's more about getting the headsets out there and having people build exciting uses for them," Mr Qian said. Collective Campus sponsorships cost between $200,000 and $500,000 cash, depending on the level of in-kind support and whether the option for automatic equity is taken up. Once sponsors are finalised, Collective Campus will issue a call-out for relevant startups and hope to have the program underway by June. Consultant Digi-Capital has projected the combined revenue from the augmented and virtual reality industries to reach $US108 billion by 2021, up from just $US3.9 billion in 2016.